1984: Medical Degree from Medical school of Aristotle University of Thessaloniki. 1992: Certificate of Completion of Training in Orthopaedics. President of the Hellenic Arthroscopic Society from 2008 to 2010. Founding Member of ESSKA ESA Sector. Member of Hellenic Association of Orthopaedic Surgery and Traumatology. Instructor of the A.T.L.S. National Training Centre from 1996 to 2005.
International Member of American Academy of Orthopaedic Surgeons(A.A.O.S). International Member of Arthroscopy Association of North America( A.A.N.A.). Member of the International Society of Arthroscopy,Knee Surgery and Orthopaedic Sports Medicine (I.S.A.K.O.S). Member of the International Cartilage Repair Society(I.C.R.S.). October 1984 – April 1986: Resident in General Medicine at 401 Athens General Military Hospital. April 1986 – September 1987: Director of first aid unit of military parachuting school. September 1987 – September 1989: Resident in Orthopaedic Surgery at 401 Athens General Military Hospital. September 1989 – September 1992: Resident in Orthopaedic Surgery at KAT hospital(two years in E΄ Orthopaedic Department-Spinal surgery unit , six months in Hand Surgery and Microsurgery Unit and six months in Sports Injuries Unit). September 1992 – September 1993: Attending Surgeοn in Orthopaedic Department of Army Veteran hospital. September 1994 – January 1996: Head of Orthopaedic Department of Samos island military medical unit. January 1996 – August 1999: Attending Doctor at second Orthopaedic Department for 401 Athens General Military Hospital. August 1999 – September 2001: Director of first Orthopaedic Department, 401 Athens General Military Hospital. October 2001 – October 2002: Deputy Director at 411 Tripolis General Military Hospital. 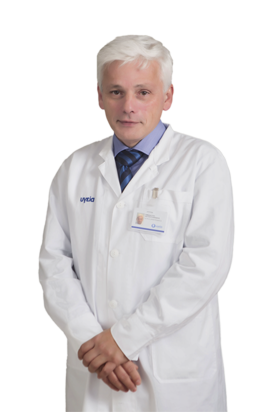 October 2002 – 2008: Director of second Orthopaedic Department at 401 Athens General Military Hospital. 2008 – June 2016: Director of B΄ Orthopaedic clinic- Arthroscopic Shoulder Surgery Center ,IASO General hospital. Organizing seminars with international participation since 2000. Seminar « Rotator Cuff tears from Arthroscopic repair to Substitution», 26 to 27 June 2015,Athens-Greece. Arthroscopic Shoulder Surgery Seminar, 16 to 17 January 2014,Athens-Greece. Instructor – Speaker since 1989. 1st Educational Seminar «Management of failed shoulder surgery», of ESA-ESSKA, 2 to 3 October 2015,Rome-Italy. 3th Educational Seminar «Arts of care»,14 to 18 June 2014, at French-Chinese Institute ,Chengdu-China. BIOMED shoulder course with cadaver practice,7 to 8 March 2014,Rotterdam-Holland. Arthroscopic and Open Shoulder Surgery. Midterm outcomes of arthroscopic remplissage for the management of recurrent anterior shoulder instability. Brilakis E, Mataragas E, Deligeorgis A, Maniatis V, Antonogiannakis E. Knee Surg Sports Traumatol Arthrosc. 2016 Feb;24(2):593-600. doi: 10.1007/s00167-014-2848-1. Epub 2014 Feb 1. Effect of cross exercise on quadriceps acceleration reaction time and subjective scores (Lysholm questionnaire) following anterior cruciate ligament reconstruction. Papandreou MG, Billis EV, Antonogiannakis EM, Papaioannou NA.J Orthop Surg Res. 2009 Jan 30;4:2. doi: 10.1186/1749-799X-4-2. Lack of association between vitamin D and calcitonin receptor gene polymorphisms and forearm bone values of young Greek males. Charopoulos I, Trovas G, Stathopoulou M, Kyriazopoulos P, Galanos A, Dedoussis G, Antonogiannakis E, Lyritis GP.J Musculoskelet Neuronal Interact. 2008 Apr-Jun;8(2):196-203. Lifestyle factors and forearm bone density in young Greek men. Kyriazopoulos P, Trovas G, Charopoulos J, Antonogiannakis E, Galanos A, Lyritis G.Clin Endocrinol (Oxf). 2006 Aug;65(2):234-8. The triad knot: a new sliding self-locking knot. Yiannakopoulos CK, Hiotis I, Antonogiannakis E.Arthroscopy. 2005 Jul; 21(7):899. Intraoperative arthroscopic suture anchor reloading. Antonogiannakis E, Yiannakopoulos CK, Karabalis C, Hiotis I.Arthroscopy. 2005 Jul;21(7):898. Arthroscopic anterior cruciate ligament reconstruction using quadriceps tendon autograft and bioabsorbable cross-pin fixation. Antonogiannakis E, Yiannakopoulos CK, Hiotis I, Karabalis C, Babalis G.Arthroscopy. 2005 Jul;21(7):894.